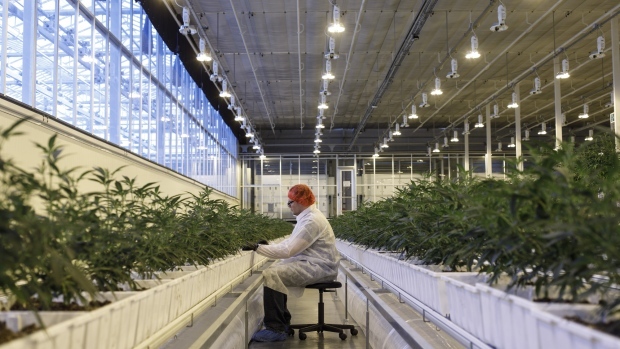 EDMONTON - Aurora Cannabis Inc. (ACB.TO) has signed a deal to buy Whistler Medical Marijuana Corp. in an all-stock deal worth up to US$175 million, including certain milestone payments. Edmonton-based Aurora says the acquisition of the privately held company is expected to provide it with a suite of premium and organic certified products. Whistler operates two indoor licensed production facilities, include one in Whistler, B.C., and another a short drive from the resort town. Once the second location reaches full capacity, the facilities are expected to have a combined production capacity of over 5,000 kilograms per year. The deal is subject to customary closing conditions, as well as third party and regulatory approvals. Shares in Aurora closed at US$8.47 on the Toronto Stock Exchange on Friday.